The Battle for Kobane in the light of Rosemary Sutcliff's The Lantern Bearers. At the time of writing - 1330 BST on Wednesday October 8th - Kobane has not yet fallen. Maybe it will never fall. 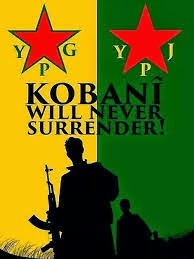 The skill, determination and commitment of its Syrian Kurdish defenders can be in no doubt. They are, however, significantly outnumbered and outgunned, left to fend for themselves (US air strikes nothwithsatnding) due to 'Great Power' political chicanery and - with regards to Turkey - a continued reluctance and inability to recognise the depth of existential threat posed by ISIS. It is strange, sometimes, what works of art such last-ditch stands against darkness call to mind. I could, I suppose, feel tempted to quote from the linguistic heights of Shakespeare or the spiritual depths of Dostoyevsky, yet the text which jumps, shouts and demands attention when I meditate on Kobane is actually a children's book, published in England in 1956: The Lantern Bearers by Rosemary Sutcliff. Rosemary Sutcliff (1920 - 1992) is perhaps best known today for the first of her 'Roman' stories, The Eagle of the Ninth (1954). Sutcliff's novels - along with her creative retellings of Gaelic, Greek and Arthurian myth - have had a profound influence on both children and adults (including myself) throughout the second half of the twentieth-century and the first decades of the twenty-first. Her novels were written, in the main, in the post-Second World War era. 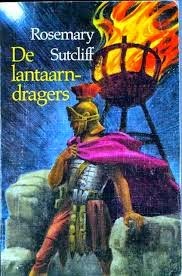 As with a number of British children's writers (Alan Garner and Susuan Cooper, for example) whose formative years co-incided with the struggle against Hitler, Sutcliff's work contains clear distinctions between good and evil, right and wrong, civilised conduct and savagery. There is no post-modern ambiguity, equivocating or hedging of bets here. We also find a firm commitment to the value of law and custom (inherited from the Pax Romana) and an overarching belief in the significance and intrinsic worth of Judeao-Christian civilisation. "He flung water from the tank in the corner onto the blackened bull's-hide fire-shield, and crouched holding it before him by the brazier, feeding the blaze to its greatest strength. The heart of it was glowing now, a blasting, blinding core of heat and brightness under the flames: even from the shores of Gaul they would see the blaze, and say, 'Ah, there is Rutupiae's Light.' It was his farewell to so many things: to the whole world that he had been bred to. But it was something more; a defiance against the dark." Aquila chooses to return to his family, to protect them as best he can from the marauding Saxons and Jutes, running rampant in the civilisational vacuum left by the departing Romans. During one raid (which has rang in my mind again and again this year as ISIS rampage through Iraq and Syria) Aquila's father is killed, his sister taken into captivity and Aquila himself stripped naked and tied to a tree, literally left to the wolves. In the event, however, a Jutish raiding party seize him as a prisoner of their own and transport him back to Jutland. The rest of the book recounts Aquila's long and winding journey home, and the leading role he goes on to play in the Romano-British Resistance, led by Ambrosius Aurelianus from his 'Fortress of the High Powers' in the muntains of North Wales. The Lantern Bearers has, at times, a distinctly valedictory feel, almost as if Sutcliff herself was waving goodbye to what she recognised as civilisation. But the impressions remaining with the reader are poles away from bitter negativity: kindness, fortitude, a sense of the Divine at work in the lives of both individuals and communities, and a compassion and understanding (though never a backsliding tolerance) of the enemy and his bleak material and spiritual situation. Above all, there is the title, The Lantern Bearers. My contention is that Rosemary Sutcliff herself was a literary lantern bearer, giving dramatic form and content to the value and perilous nature of civilisation. 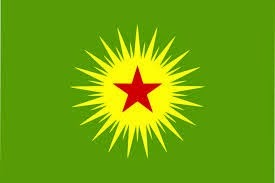 There can no doubt in anyone's mind, suely, that the Kurdish men, women and children of Kobane are lantern bearers one and all, here and now in October 2014, out there on the front line - a democratic, person-centred, values-orientated commune - taking a stand, stepping up against the darkness when other, far more powerful actors, choose to sit on their hands and play political games. 'I sometimes think that we stand at sunset,' Eugenus said after a pause. 'It may be that the night will close over us in the end, but I believe that morning will come again. Morning always grows again out of the darkness, though maybe not for the people who saw the sun go down. We are the Lantern Bearers, my friend; for us to keep something burning, to carry what light we can forward into the darkness and the wind.'"